Divorce and Taxes. 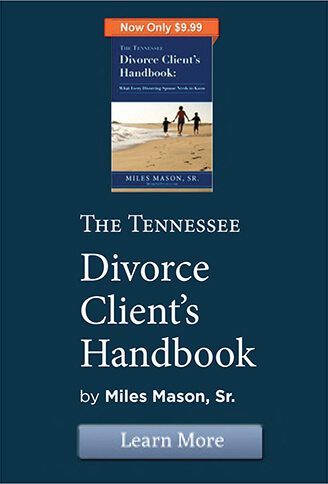 Overview of tax law and divorce from Memphis, Tennessee divorce attorney, family lawyer, Miles Mason, JD, CPA. NOTICE: THIS PAGE NEEDS UPDATING DUE TO FEDERAL INCOME TAX LAW CHANGES. See Who Gets the Credit? Calculating the New Child Tax Credits in Your Parenting Plan. There have been many changes to child-related tax benefits. One of the biggest being recent suspension of all personal exemptions under the Tax Cuts and Jobs Act (TCJA). Not some, all. The TCJA is effective for tax years beginning Jan. 1, 2018, through Dec. 31, 2025, when the law sunsets. 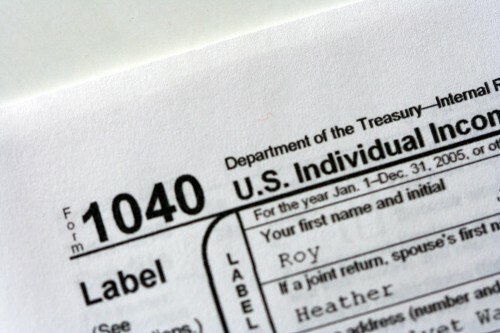 Elimination of personal exemption deductions began with tax year 2018. See Publication 501, Dependents, Standard Deduction and Filing Information, as well as Publication 504, Divorced or Separated Individuals. All IRS publications are available as PDFs online. IRS publications offer easy explanations. Remember that it is important to always consult with your client’s CPA or tax professional. The details matter! Besides a CPA or tax attorney (we know several CPA’s and tax attorneys in Memphis to whom we can refer clients and readers), one of the best sources of basic tax information is the Internal Revenue Service. The IRS offers several publications and answers to frequently asked questions on its website. Below are the most relevant documents and links to information. Be sure to check the dates on the material and check with a tax professional because tax law changes often. Plus, the IRS will not advise you on the best way to structure your situation. See our directory for referrals to Memphis, Tennessee Divorce CPA and Tax Professionals. Can I deduct legal fees for my divorce? 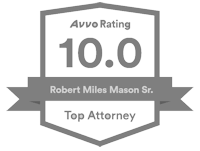 Are my attorney’s fees deductible? In general, you cannot deduct legal fees and court costs for getting a divorce. 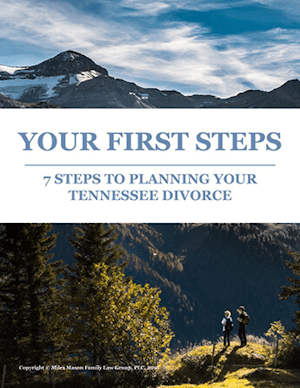 But you may be able to deduct legal fees paid for tax advice in connection with a divorce and legal fees to get alimony. In addition, you may be able to deduct fees you pay to appraisers, actuaries, and accountants for services in determining your correct tax or in helping to get alimony. Fees you pay may include charges that are deductible and charges that are not deductible. The IRS offers the following tip: You should request a breakdown showing the amount charged for each service performed. You can claim deductible fees only if you itemize deductions on Schedule A (Form 1040). Claim them as miscellaneous itemized deductions subject to the 2%-of-adjusted-gross-income limit. For more information, see Publication 529, Miscellaneous Deductions. Fees for tax advice. You can deduct fees for advice on federal, state, and local taxes of all types, including income, estate, gift, inheritance, and property taxes. 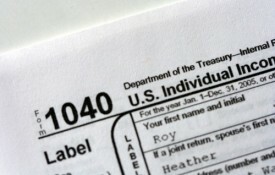 Source: IRS Publication 504 – a great resource for tax reference. But, we still strongly recommend you consult with a CPA or tax attorney. Publication 504: Divorced or Separated Individual. Contains information on the special rule for children of divorced or separated parents. Publication 501: Exemption, Standard Deduction, and Filing Information. Form 8332: Release of Claim to Exemption for Child of Divorced or Separated Parent. Form 2120: Multiple Support Declaration. A dependency exemption may only be claimed on one return. A parent can still claim a dependency exemption for a child if the other spouse provides a written declaration that he or she will not claim the child as a dependent for that year. Publication 503: Child and Dependent Care Expenses. Form 8379: Injured Spouse. When a joint return is filed and only one spouse owes past due federal tax, past-due child and/or child spousal support, a federal debt, or state income tax, the other spouse can be considered an injured spouse and can request his or her share of the joint refund. If this situation applies to you, file Form 8379 (PDF), Injured Spouse Claim and Allocation, to recover your share of the joint refund. If you think this situation may apply to you, we strongly recommend you receive advice from a tax professional. Publication 971: Innocent Spouse Relief. Due to IRS moving these files around, researchers reaching an inaccurate page should try the IRS FAQ directory page. See also, Issues a Family Law Attorney Should Consider When Drafting a Marital Dissolution Agreement. 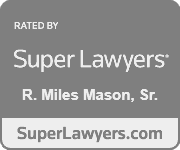 This is an article written by Miles Mason, Sr., JD, CPA originally published in the Tennessee Bar Journal in 1998. Reprinted by permission of the TBA. Although the article may be outdated in some respects from a tax law perspective, learning about the most common issues to discuss with your CPA and tax advisor can be very helpful. The IRS publishes answers to many Frequently Asked Questions. The location for the index is: https://www.irs.gov/faqs/index.html. Unfortunately, the IRS keeps moving around the pages and order of the FAQ’s, so we are unable to link to specific questions and answers, although we have tried for many years. But, in an effort to be helpful, please note that in addition to Publication 504 which is very thorough, there are several other topics to look up relevant to divorce and post-divorce support. Family lawyers are often asked simple questions like, “If I pay alimony, can I deduct it?” Or, “If I receive alimony, do I owe taxes on it?” Unfortunately, the answers are not simple. Why? Federal income tax law is written for national application and state law does not affect tax law. Because there are so many states and so many different types of alimony, conditions placed on the obligations, and how payments are made, each taxpayer should receive independent from a competent tax professional. Tax law puts special requirements and restrictions for alimony to be deducted by the payor and included as income by the alimony recipient. See IRS Publication 504: Divorced or Separated Individual for a general overview of those restrictions and rules. Tax law does not reference state family law and uses different terms than what may be described in a divorce settlement. It is likely that different competent tax professionals have different opinions on the same alimony language. If your alimony payments decrease or end during the first 3 calendar years, you may be subject to the recapture rule. If you are subject to this rule, you have to include in income in the third year part of the alimony payments you previously deducted. Your spouse can deduct in the third year part of the alimony payments he or she previously included in income. The 3-year period starts with the first calendar year you make a payment qualifying as alimony under a decree of divorce or separate maintenance or a written separation agreement. Do not include any time in which payments were being made under temporary support orders. The second and third years are the next 2 calendar years, whether or not payments are made during those years.